Family Focus Highland Park, formerly Family Network, is a not-for-profit family support center open to all regardless of ability to pay or geographic location. Our mission is to promote the well-being of children from birth by supporting and strengthening their families in and with their community. Family Network was founded in 1983 by early childhood professionals seeking to connect young children and families with one another to help reduce isolation, build friendships and establish a supportive community network. We are grateful to the vision of our founders and all of the families, staff, volunteers and alumni that have contributed to Family Network since its inception. In 2002 Family Network became part of Family Focus, a pioneering family support organization based in Chicago that was founded in 1976. Family Focus offers innovative, community-based programs that help parents, grandparents, and foster and adoptive parents, gain confidence and competence as the primary educators of their children. Family Focus has seven centers in Chicago and surrounding communities. Please check back later for center announcements. Please join us on April 6th for the Family Focus Fun Fest! 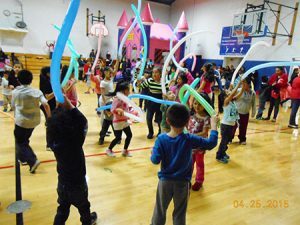 Join us on Saturday, April 6th from 4 p.m. – 7 p.m. at Oak Terrace Elementary School (240 Prairie Ave, Highwood, IL, 60040) for our 4th annual Family Focus Fun Fest. Admission is free for an afternoon of food, music, games and raffles for all ages. All proceeds from the Fun Fest benefit Family Focus Highland Park programs, and our families need us now more than ever. If you would like to contribute to the event we are seeking donations of raffle items, food to supplement the homemade treats, and services and/or gift certificates. Your contribution to Family Focus is tax deductible. All donors will be featured on our “Donor’s Wall” at the event and your name will be listed in our printed materials. Click here to view our donation information. 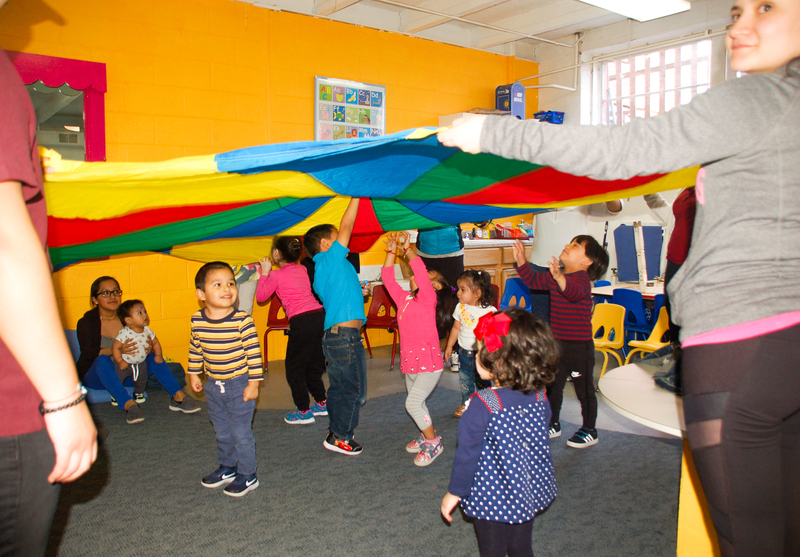 Parent/Child Center was established in 1983 as Family Network’s first program by early childhood professionals who recognized the importance of providing a place where families could connect with one another and find support in the challenging job of raising young children. The Parent/Child Center continues to offer programs where parents can meet the challenges of parenting through coming together for friendship and shared information while their young children are provided with safe, nurturing early experiences under the care of experienced professional staff. Right From The Start Program (RFTS) was established in 1994 in response to an emerging Latino immigrant population in Highland Park and Highwood. 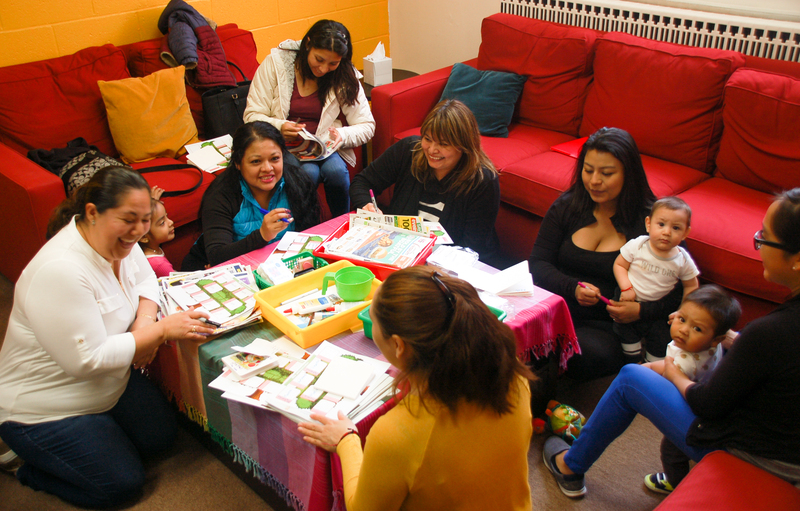 RFTS serves the Latino community offering a wide array of Spanish-based services. These offerings include: prenatal classes, home visiting services and many educational groups for parents and children from birth through the elementary years. Additionally, thanks to the vision and support of Pam Phillips Weston, exercise classes were established for moms in December of 2007 in conjunction with after school nutrition/exercise children’s classes for 1-5th grades to reinforce the importance of good health and target the rampant childhood obesity issue in our country. After School Activity Program (ASAP) was established 2004 in response to the growing needs of working parents seeking high quality after school services for their children from kindergarten through 5th grade. ASAP provides home work help in both English and Spanish and a wide range of engaging enrichment and educational activities. 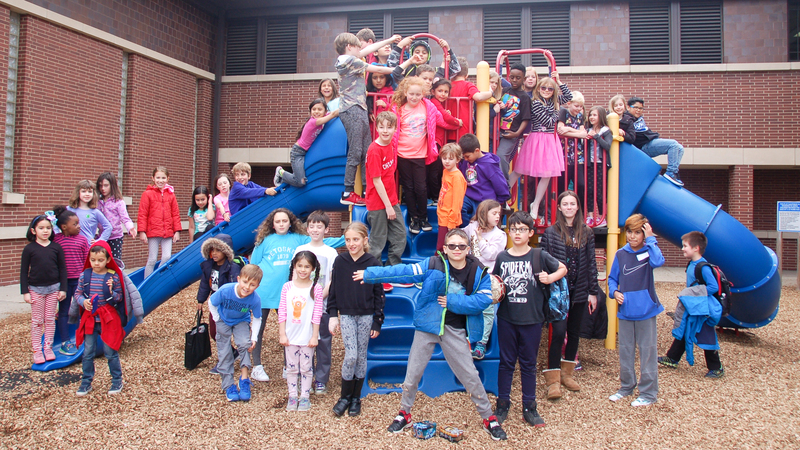 ASAP is the only school-based after school program in District 112 and has three sites in Highland Park serving 7 different elementary schools. EY staff giving the Family Focus Highland Park center a fresh coat of paint. The support of community volunteers significantly enhance our services. Each program within the center has unique needs. Please review the programs below to identify our volunteer opportunities. Click here to fill out our volunteer application. Please feel free to contact Bobbie Hinden, Center Director, at bobbie.hinden@family-focus.org or call 847/433-0377, extension 303, if you are interested in donating items for the Parent/Child Center or if you are interested in volunteering your time. Volunteers are often utilized for helping with special events and teaching classes. If you are interested in volunteering your time, please feel free to contact Bobbie Hinden, Center Director, at bobbie.hinden@family-focus.org or call 847/433-0377, extension 303. Volunteers are often utilized for homework help and to provide special programming on extended school days. If you are interested in donating items for ASAP or volunteering your time, please feel free to contact Bobbie Hinden, Center Director, at bobbie.hinden@family-focus.org or call 847/433-0377, extension 303. Help with creating new & fresh marketing materials, updating social media sites, and administrative tasks as needed. Please contact the Office Manager at familynetwork@family-focus.org or call 847/433-0377, extension 304. Family Focus Highland Park has a dynamic and active Advisory Board of Directors. Individuals offering their services and expertise to the Board are an essential part of our thriving and successful organization. We welcome people from all backgrounds and disciplines with our greatest needs being in the areas of fundraising, marketing and finance. Additionally we also have an interest in bringing in people with corporate and business experience. Most importantly we seek members that are civic minded and share our mission. In order for Family Focus Highland Park to continue to meet the needs of our community, a larger programmatic space is required for our future. Family Focus Highland Park is one of five member agencies that are part of the Community Family Center including; Family Service: Prevention Education & Counseling, Highland Park Community Nursery School and Day Care, Highland Park-Highwood Home Child Care Association and Tri-Con Child Care Center. The Community Family Center is a non-profit organization that seeks to build a state-of-the-art facility that will enable families to access critical early care and education, parenting classes, after-school programs, and family counseling services in one central location. Although each agency will maintain their own identities, programs and services, they will benefit from reduced overhead through shared common spaces and gain from the synergies created in being co-located under one roof. 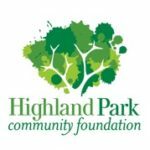 Please help Family Focus Highland Park make the vision of the Community Family Center a reality by giving to this important campaign. For further information please visit the Community Family Center website at www.communityfamilycenter.org or click here.